People who interact with Messenger bots frequently ask this question. For some, it’s hard to tell whether the conversation is being fully automated or if a human has intervened; everything is sent from the same page. “Personas” is a new feature that tells users when the bot is talking versus when a live agent has taken over the chat. 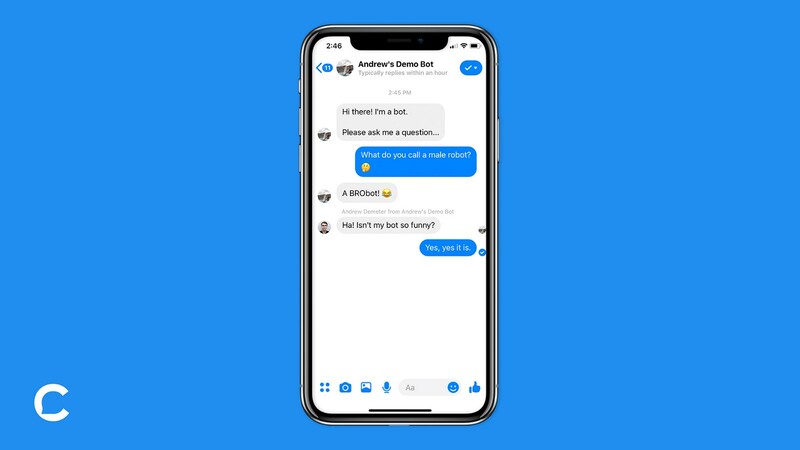 Now when you initiate a live chat, users will automatically see the name and profile picture of the human agent, rather than the standard business page information. Personas is currently enabled by default. You can start using it today from the Live Chat tab in your dashboard! We welcome your feedback via email: team@chatfuel.com! Most used Chatfuel Messenger bot templates: Bot Agency, Hotel, Lead Scoring, Events and Conferences, Realtor.